Superior performance in liquids and gaseous services is the hallmark of the GFlo Globe Control Valve. 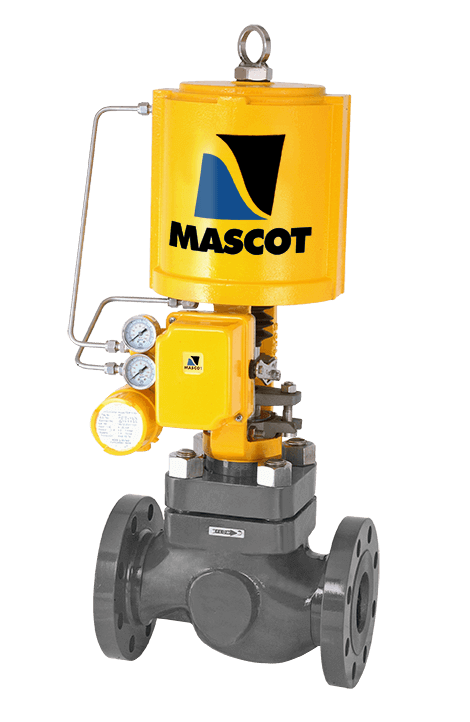 Easy, quick and economical maintenance makes the GFlo Globe Control Valve more user friendly. The spring cylinder actuated GFlo imparts stiffness and maintains very high precision in positioning, strong response, repeatability and controlled high speed movement are the characteristics absent in diaphragm operated control valves. GFlo has the thrust capability to shutoff against higher fluid pressures as it can handle up to 150 Psi / 10.30 Bar air supply. 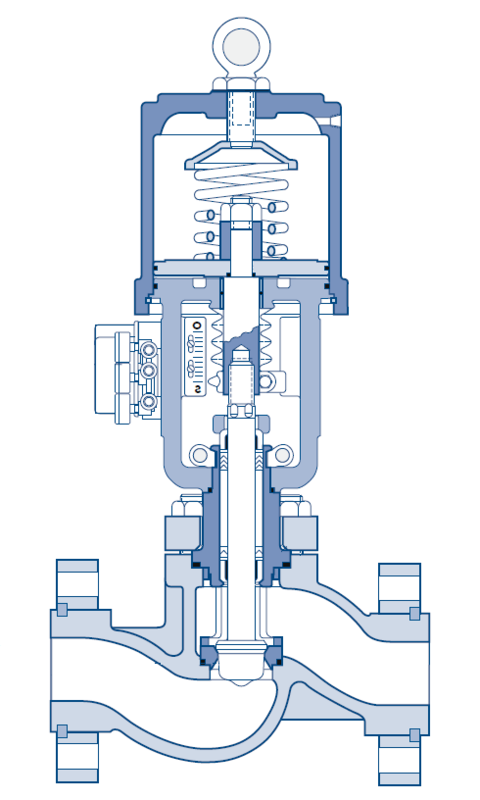 Valve closure is totally dependent on springs in most diaphragm actuators. The unique design of GFlo enables it to combine the spring force, fluid pressure and supply air pressure to achieve an extremely tight shutoff. A self-aligning seat ring adds to and further improves the shutoff capability. Galling at cage is the culprit in many common maintenance issues with globe valves because of the close metal-to-metal contact between plug & cage. The GFlo has two top heavy duty stem guides. Contact between the plug and seat retainer is completely avoided in GFlo. Easy and quick maintenance is permitted due to clamped-in seat and top entry trim. Double Stem Guiding does not come in contact with operating fluid. Sufficient Clearance between plug head and seat retainer to avoid galling. Shutoff assisted by fluid pressure, cylinder spring and air pressure. High Thrust cylinder overcomes high pressures to provide exceptional tight shutoff. Anti-Cavitation and Noise Attenuation trim options. Excellent Interchangeability between sizes and other MASCOT products. Valve design minimizes requirements for stocking spare parts. Stiff, Heavy-Duty parts provide extended life.